The analysis of the various stages of attacking is clear and actionable. I am DoC for a tiki taka focused youth soccer club. 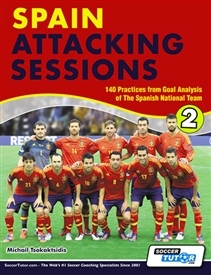 I have already found several of the drills in the book that can get my players from theory, through technical application to tactical implementation. 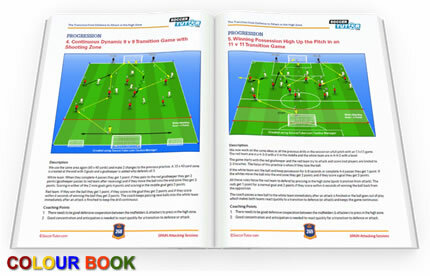 Some of the set plays we use in open play are perfectly complemented with these drills. We generally play 4-2-3-1 but the 4-3-3 system is so close in the set up of the central 6, 8 and 10 that we can flip between both formations and still use these attacking principles.